Some months after starting my private practice in Japan, I (Yukio Fujikura) received an email from a Japanese American woman asking for an opportunity to do her counseling practicum at my practice. While living in Tokyo, she was pursuing her degree through an online school counseling program offered by a university in New Jersey. This is how I got to know Marie Kobayashi, the co-author of this article, and learned about the challenges she faced as an online counseling student living outside the United States. The 10 percent growth rate for online enrollments far exceeds the 2 percent growth rate among the overall higher education student population. Among higher education students, 31 percent now take at least one course online. Among higher education institutions, 65 percent say online learning is a critical part of their long-term strategy. 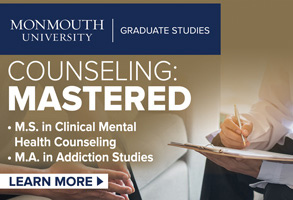 The counseling profession is also witnessing the rise in popularity of online graduate programs, both at the master’s and doctoral levels. An Internet search of “online graduate counseling” instantly provides links to scores of online programs, some accredited by the Council for Accreditation of Counseling and Related Educational Programs and others not. According to the CACREP website, of 599 accredited counseling programs, only 11 were exclusively online programs as of June 2012. By contrast, of the 45 programs in the midst of the accreditation process as of June 2012, seven identified themselves as online programs. Alternatively, it seems possible for educators to help online counseling students obtain these critical elements by providing these students with good practicum and internship experiences, thus filling the gap between online and traditional programs. For the sake of the entire counseling profession, as well as for the welfare of our clients, it is especially essential for online counseling students to have good practicum and internship experiences with qualified supervisors. Finding appropriate practicum and internship sites with qualified supervisors is a challenge for many counseling students in online programs — and especially for those who live overseas. While focusing on teaching materials, technology and smooth communication between students and teachers, many programs appear not to address how to improve their online students’ practicum and internship experiences. Furthermore, for online counseling students living outside of the United States, the burden of finding appropriate practicum and internship sites often falls directly on them, even though they already have their hands full with other challenges. Those challenges, in addition to having limited or no access to the various supports and services that most domestic students are naturally entitled to, include language barriers, cultural barriers and time differences. We strongly believe that online counseling students who live outside of the United States deserve more attention and care from the field. It is undeniable that online programs still have a stigma attached to them. Some people doubt the credibility of online programs or question whether it is possible to obtain an authentically enriching experience from them. I admit that I had my doubts as well, but I was more comfortable entering an American school counseling program rather than a program offered in Japan. For that matter, as far as I am aware, school counseling programs do not exist in Japan. Although every school in Japan must by law have a “school counselor,” in almost all cases, these positions are only part time and their roles are undefined. 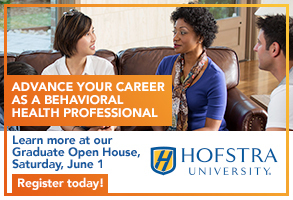 The positions are normally filled by rinsho shinrishi, Japanese clinical psychologists who graduate from two-year programs that have almost nothing to do with school counseling. Nevertheless, I was determined to stay in Japan for personal reasons. I also had a passion and commitment to my work as a volunteer counselor at a not-for-profit organization helping international community members in Japan. This position really opened my eyes (and a door) to school counseling. During the past two years, people have asked me frequently about online programs and how I chose the one in which I am currently enrolled. Initially, I still held preconceived ideas about “online schools,” so I began my search by looking for traditional schools with online programs. Although I came across some useful and organized websites, I think my best search tool was simply Google. I specifically wanted a school counseling program, so this naturally helped to narrow my search. In the process of trying to contact a few schools, my current program at Seton Hall University really stood out to me. The program coordinator was friendly, the program itself seemed well-established, and I liked the idea that I could get there easily from Tokyo if I needed to (or at least it would be a great excuse to go to New York City!). People ask me if it is strange to have classmates whom I have never met, but in fact I can put names to most faces, and I would say we are a very close-knit community. I attended two residencies — one at the beginning of the program and another at the approximate midpoint — that I really enjoyed being a part of, and I found them to be a significant part of the program. Back in Japan, I was looking for a clinical setting to fulfill my practicum requirement and hours for my school counseling program. After having lived in Japan for nearly a decade, I had become aware of the lack of available mental health care here, which is one of the main reasons I chose to pursue a career in counseling. As a volunteer counselor at a not-for-profit organization for the international community in Japan, I had also witnessed the increase in the number of calls over the years. As I began my search for a practicum site, I was excited about the various options I might have and the different experience and perspective I could share with my learning team. Unfortunately, that excitement soon was replaced with the reality that it was extremely challenging to find a practicum site in Japan. Without access to a structured database, my only resources were Google and cold-calling. Although some of the sites I contacted were interested, they were unable to accommodate me for various reasons. One counseling center told me it would be unprofessional to hire me because I was a graduate student. That was both confusing and discouraging. I had expected more support from professionals in the field. 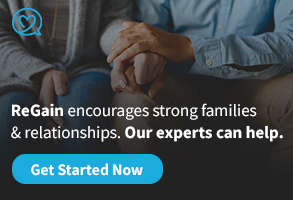 A long and humbling process made me realize that, despite the many advantages of an online program, and even with full support from my program back in the United States, there was (and still is) a significant obstacle to completing an online counseling program while residing outside of the United States. Having encountered these challenges myself, I would love to see a database developed that contains information on qualified professionals worldwide who will allow graduate students outside of the United States to gain the necessary practicum or internship experience. I ultimately found a wonderful site with a qualified counselor who felt as though it was his ethical responsibility to welcome me as a practicum student. 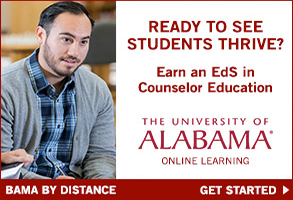 I can only hope that other online counseling students outside of the United States will be as lucky. Having online students who live overseas as part of U.S. counseling programs not only adds variety but also could contribute to a better and deeper understanding of multicultural issues in counseling, both among educators and students. In a 2007 study, Lawrence Gerstein and Stefanía Ægisdóttir, counselor educators at Ball State University, stated, “Training programs can greatly enhance their cultural environment and climate by recruiting and admitting a more internationally diverse group of individuals.” Despite the counseling profession’s current emphasis on multicultural perspectives and experiences, many online programs seem to lack a good understanding of the unique needs and challenges of online trainees living overseas. To spread the American Counseling Association’s perspective and values worldwide and to further develop the counseling profession, we believe it is necessary to establish ways to address these needs and challenges. Failing to take action to help online counseling students living outside the United States will put our profession in a much more undesirable situation. 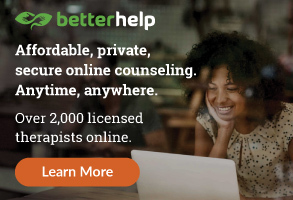 This kind of database and network would not only help those online counseling students who are struggling to find their training sites overseas, but also encourage prospective students to apply to online counseling programs. The potential is there for these prospective students to bring much more diversity and enrichment to the counseling profession. Yukio Fujikura is an ACA member who runs a private practice in Yokosuka, Japan. Contact him at postmaster@ezcounseling.jp. Marie Kobayashi is a student member of ACA who is in the online school counseling program at Seton Hall University in New Jersey. Contact her at marie.kobayashi@student.shu.edu.